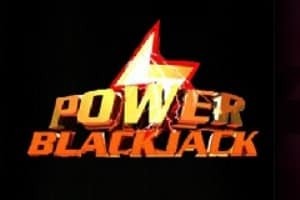 Play Power Blackjack for free, without registration, right here. The Power Blackjack is fresh take on the blackjack games genre, with some cool and unique features. The Power Blackjack game plays as a standard blackjack, but with the addition of the power rules. The power features only applies to the first two cards though. You can power split hard 15’s and 16’s, and double down them after it. If you get an initial 9, 10 or 11, you’ll be able to power double your cards. The power double enables you to replace the card you’ve given if you don’t like it, or if it makes your hand lose. The dealer must draw on 16 and stand on all 17’s. The game has the insurance bet too, giving you a chance to bet if the dealer has an initial blackjack or not. Before you can play, you have to make a bet, which can range from 1 to 1000 coins. After you made your bet, hit the deal button to get your cards. If you get your cards, you’ll be offered to double down them, draw a new card, or stand. After a double down, you can’t draw new cards, so be careful! The initial blackjack pays 3:1, the insurance pays 2:1, while any other combination pays 1:1. However, if the dealer gets a 22, the push rule will stand (like in a tie game). The Power Blackjack is a fun game, well worth a try! You can play the Power Blackjack with real money too! The bets are similar to the chip sizes. BGO – Play with real money at BGO for chance to win the jackpot. Click here to go back to the blackjack page, where you can try out a new blackjack game.